MARAWI CITY, Philippines (Mindanao Examiner / Apr. 23, 2011) – Two respected Filipino leaders were elected recently as new Chancellors of the Mindanao State University in the southern Philippines. 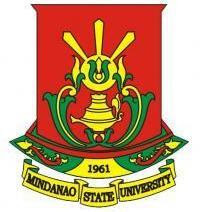 The MSU’s Board of Regents elected former Filipino ambassador to Kuwait, Dr Sukarno Tanggol as the new Chancellor of the Mindanao State University-Iligan Institute of Technology, and Agrarian Reform Assistant Secretary Lorenzo Reyes as Chancellor of the Mindanao State University - Tawi-Tawi College of Technology and Oceanography.